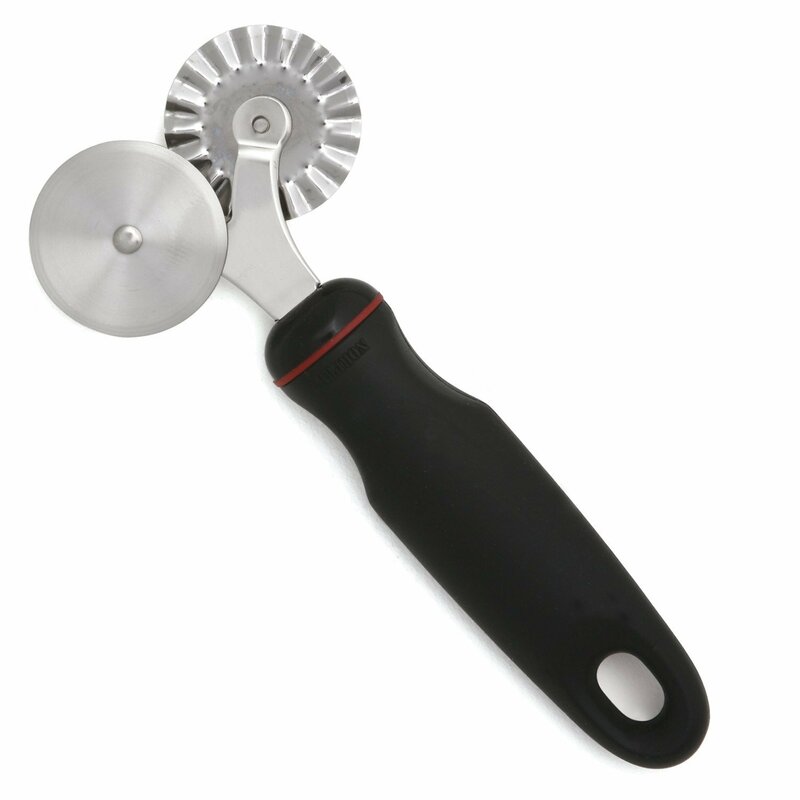 Pastry wheel, sometimes called pastry cutter, makes cutting shapes fast and easy. 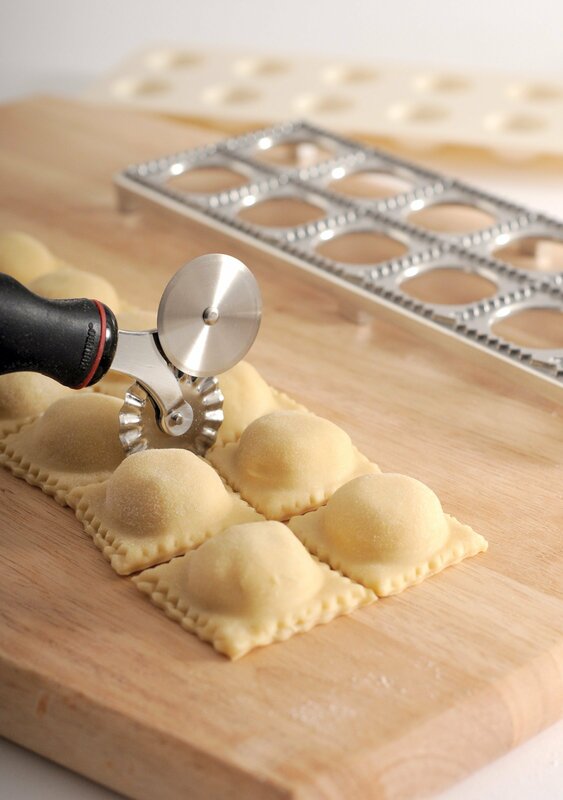 Making homemade ravioli will be a snap with the ravioli cutter wheel. Double-headed fluted wheel for scalloped edge and straight cut with flat wheel. 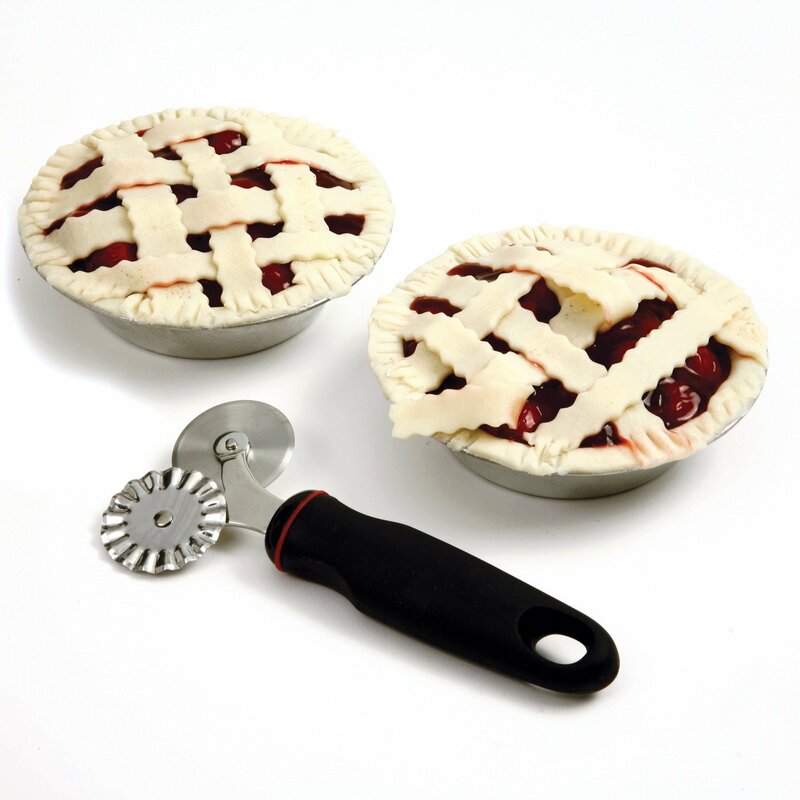 Ideal for pasta, pastry or cookie dough, create beautiful lattice crusts and decorative cuts for pies, pastries and ravioli. Soft santoprene handle provides a comfortable non-slip grip, ideal for left or right hand use.